In Norse and Germanic society, supernatural influences were much feared and respected. As were the people that could manipulate these. There were those within society that could commune with the spirits and deities, foresee the future, alter or influence a person's luck or fortune, bless, curse, heal, influence the weather, and enchant people. Some lived within the villages and served a role similar to that of a shaman. Others distanced themselves from society, instead travelling and offering their services. These people were usually women and were described in the Eddas as Völvur (Icelandic, plural of Völva) or Seiðkonur (Icelandic, plural of Seiðkona). Other terms have been given to these folk, including Spákona or Spækona (used for one who "speaks", i.e. gives prophecies) and sometimes Vísendakona (Wise woman). 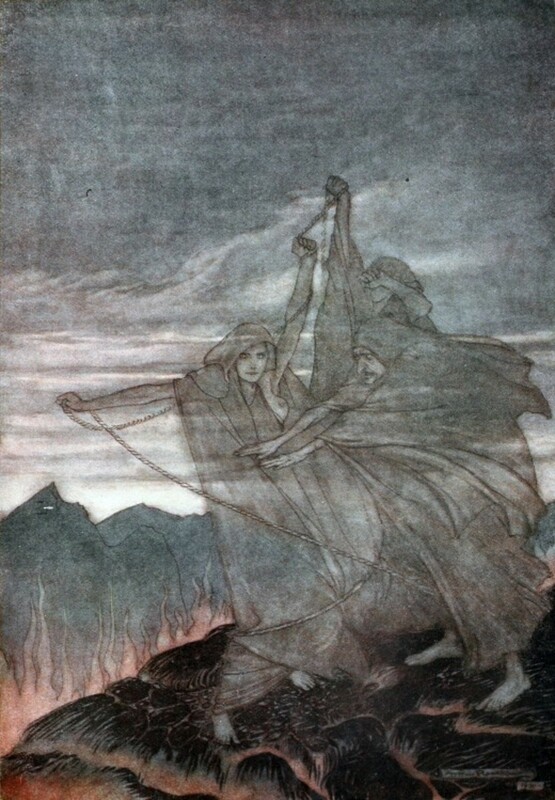 Other terms applied to magical workers throughout Norse mythology include Seiðskratti (an "evil" sorcerer), Galdramaðr or Galdrakarl (galdr man), Galdrasnót (galdr woman) Gýgr, Fála, Hála, and Skaas (witch), Heiðr, Fjölkyngiskona, and Vitka (sorceress), Tauframaðr (charm-man), and myrkriða (a rider of Darkness) . This is not a comprehensive list, and there are dozens of terms and kennings used in the Norse mythology to name those that practice magical arts. The role of a magic worker was viewed as seriously as any other profession during this period of history. As such, a person would hire themselves out and offer their skills for a fee. Like any mercenary, a practitioner would seldom choose sides, but go where they were needed. The appearance of a Völva would be cause for great excitement, and also worry, as if displeased, trouble could be caused for the household. It would not do to upset the woman who held sway over the spirits. Bed and board was provided before the performance, where the Völva would give her prophecy . 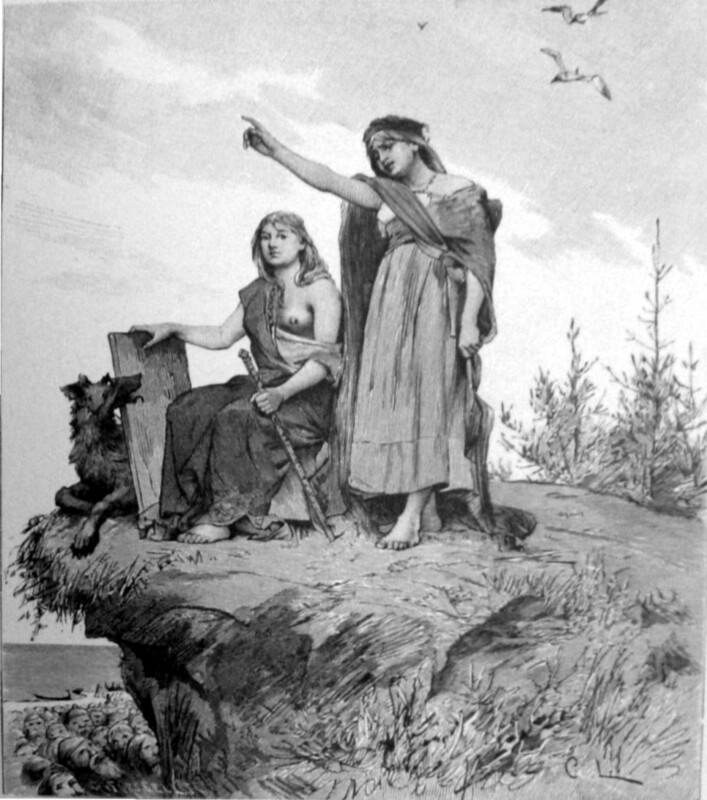 Accounts describe how a High Seat would be taken, and the Völva, with the help of an assistant (or assistants) would enter a trance. Her staff might be banged down on the floor in a rhythmic manner, or a drum might be beaten (known as "beating on a vett"). Singing might be used, particularly a vardlokkur (or vordlokur). This song's purpose is to attract and trap spirits, and also protect the Völva from harm during her ritual. 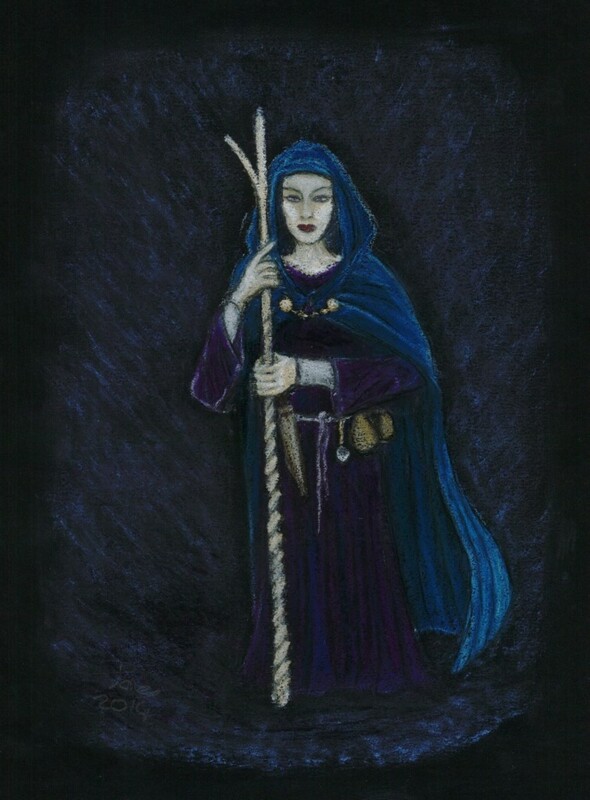 Distaffs and weaving were also associated with magic, as these crafts are associated with the Norns who weave the web of Wyrd, to which everyone and everything is connected. Rhyming with "lathe", many attempts have been made to translate the word Seiðr, but it seems hard to pin down with any level of satisfaction. The Brothers Grimm translated it as "to seethe" or "to boil", whilst other translations include "snare", "cord", "a sitting", and "to shout". Thorsson also describes Seiðr in the most simple was; literally "magik". Katie Gerrard gives her own definition of Seiðr from her book, "Seidr: The Gate is Open". “My definition of the term seidr for this book therefore becomes: Seidr is a term denoting supernatural actions within the Old Norse Sagas and is used in a similar way to the words ‘sorcery’ and ‘witchcraft’. 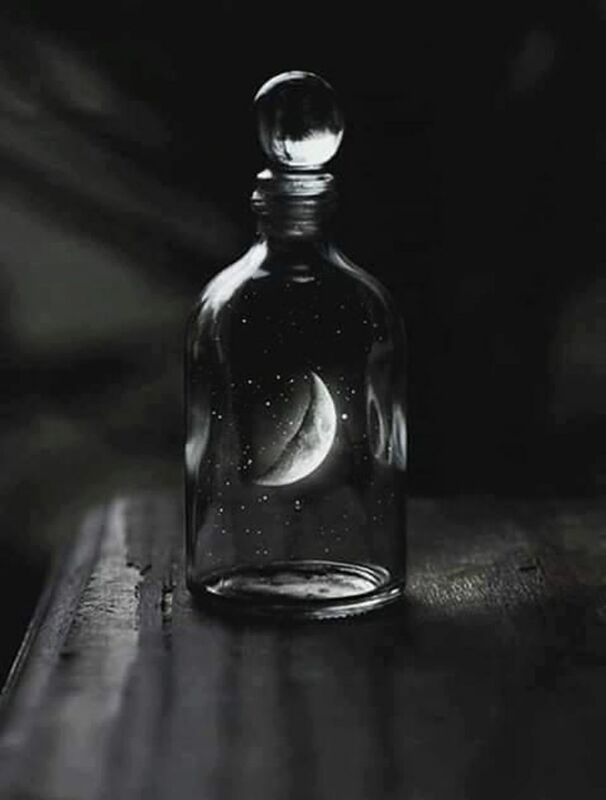 Seidr in a modern practice therefore becomes rituals and actions that are inspired by the supernatural events referred to as seidr within the Old Norse literature. A Seiðr worker may work with the local spirits in their area. Known as land-wights or Landvættir, these spirits might be influenced for good or ill by those that have a good relationship or otherwise know how to work with them. 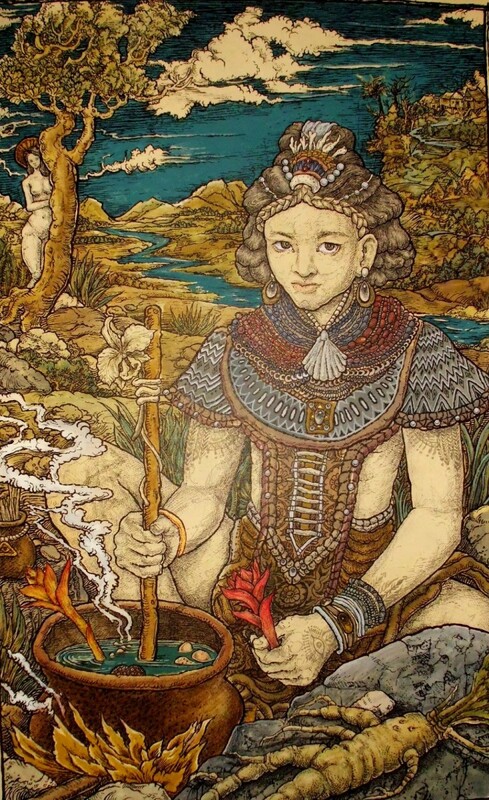 Ancestral spirits such as the matriarchal Dísir might also called upon. Besides the High Seat ritual, the act of Útiset ("sitting out") could be used to connect with the spirit of one buried in a mound. The practitioner would typically spend the night meditating upon a burial mound in the hopes of receiving a vision or message. The deities Freya and Odin are considered the main patrons of Seiðr, although other deities are associated with magic. Frigg possesses the gift of the seeress, although she may not speak of what she sees. Sif too, also has some gift with magic. 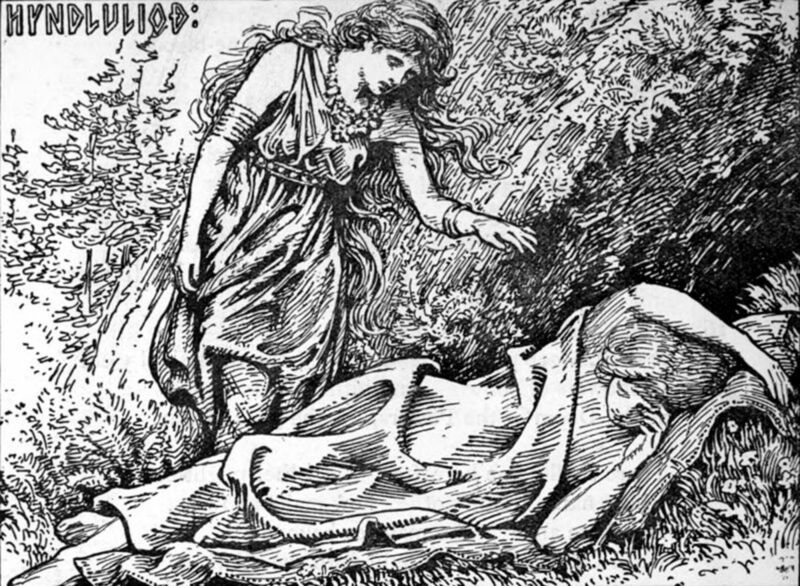 Loki is gifted with the magic of the Jotunns, whilst Gullveig is considered by some to be the Vanic patroness of witchcraft. According to the mythology, Freya taught Odin the art of Seiðr seemingly in an act of friendship after the war between the Aesir and Vanir was over. 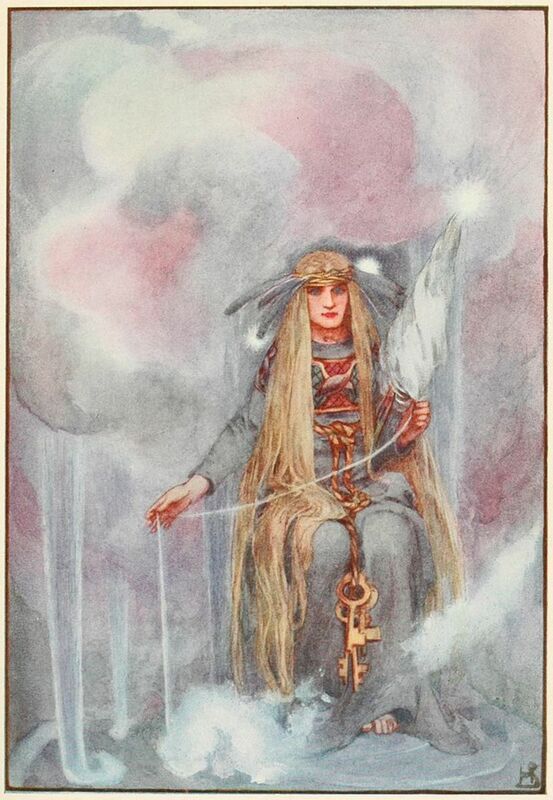 Freya uses a cloak of falcon feathers to travel, which is seen as a metaphor of "journey work", which a Seiðr worker uses to travel whilst under trance to seek a vision. Whilst hard to define, Norse magic might be classified into three main categories. I would describe Seiðr as the skills that deal with subconscious. This would include the art of glamoury and confusion to befuddle, psychological mind tricks including a repertoire of some skills that now fall under what we now call NLP, altered consciousness, spirits, trance journeying, and energy manipulation. Spá might be considered as the work of a seer or seeress and covers prophecy and the manipulation and influence of a person's fate or destiny. 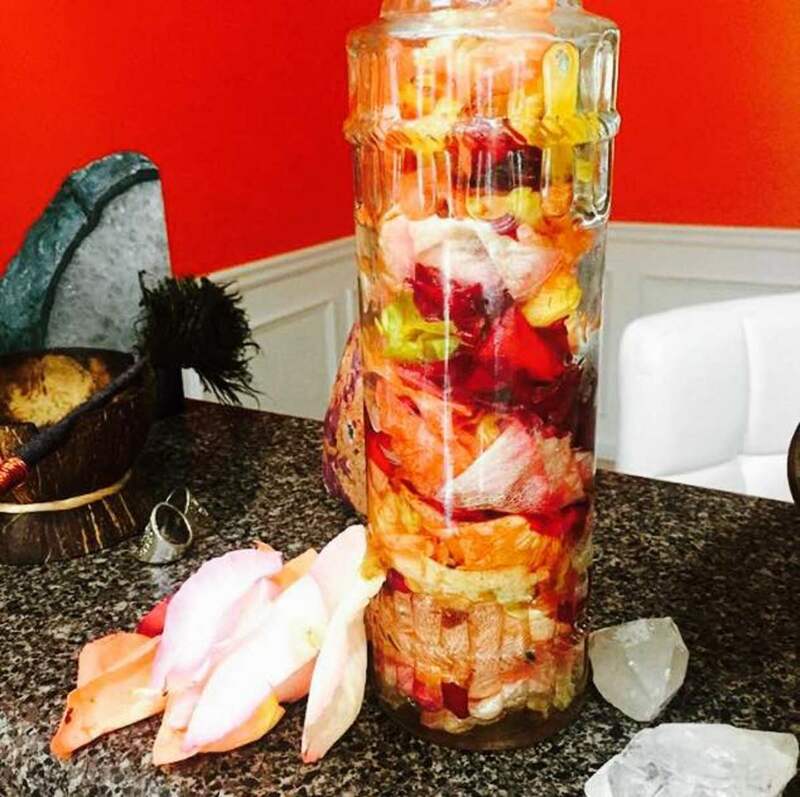 Galdr covers any magical practice that uses the power of will and the conscious mind which includes rune magic and spell-singing, healing remedies, charms, and curses. It is the part of magic that focuses intent around the spoken word or song. Odin is the chief patron of Galdr, as it was to him that the runes were gifted. The above are often interpreted differently, and there is no agreed definition that prescribes a particular magical discipline within a specific category. So What's the Difference Between a Völva and a Seiðkona? Essentially, not a lot. There are various terms used for those that practice the Norse magical path, but modern interpretation has resulted in certain people catagorising themselves within this with certain titles. If we assume that Thorsson's interpretation of Seiðr is applied to "magic", then a Seiðkona or Seiðrman is a person that practices magic. 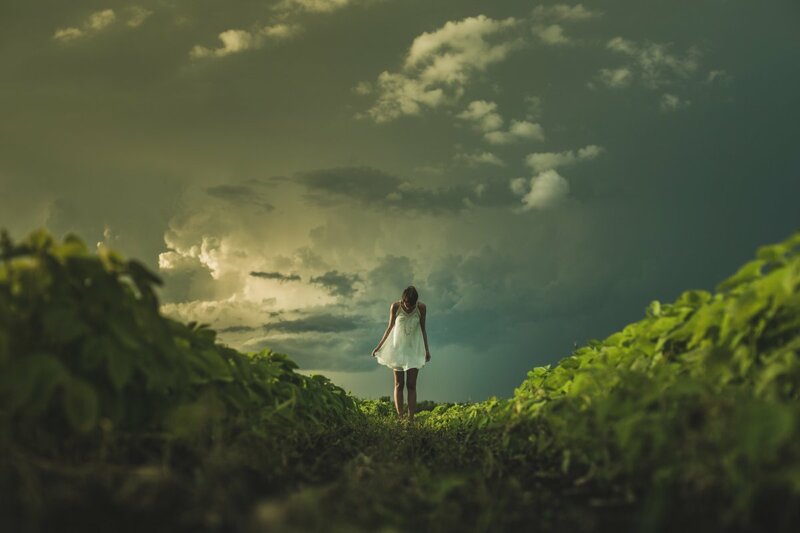 In modern times, we see the term Völva being used typically by women who specialise in divination and mediumship, with the use of the High Seat for their rituals. Whilst this role is seen as traditionally feminine, there is nothing to stop men from doing this too, despite the historical stigma of ergi. The recent renewed interest in esoteric practices of European cultures have led to a resurgence in numbers of people studying Norse, Germanic, and Anglo-Saxon spirituality and the magical practices around it. Like any historic belief system, there are many pieces of the puzzle missing, with only a few texts to attest prescribed techniques. A degree of guesswork, trial-and-error, and borrowing from local folk-magic has needed to be used reconstruct this important role of early Germanic society. Hi Daniel, yes you may. Thank you for asking permission. Could you include a link to the original article though please when you publish it? Hi. Can I translate this to portuguese? Thank you, Saharian. It's a pity it is so unrepresented when discussing this culture. I find it very fascinating. Well written and researched. Definitely learned a few things. 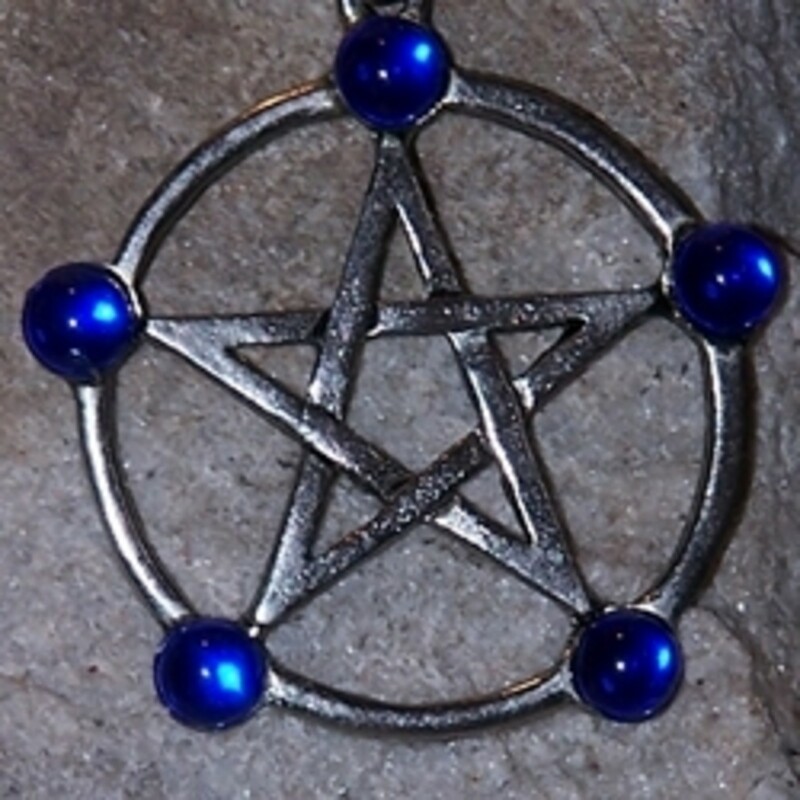 You are right non-rune related magic is often overlooked when it comes to the Norse tradition. Randy, thanks for your post. It's a topic that I find fascinating, and it's great that you enjoyed it. Very interesting hub. Well written and well researched. Ancient forms of magic have always been a fascination to me. very well written and researched. great presentation! Thank you! I am glad you enjoyed it. Most people think of just the runes when they consider Norse mysticism and magic, but there is so much more to it. Just read this hub - magical and wonderful! Love the story and the pictures!